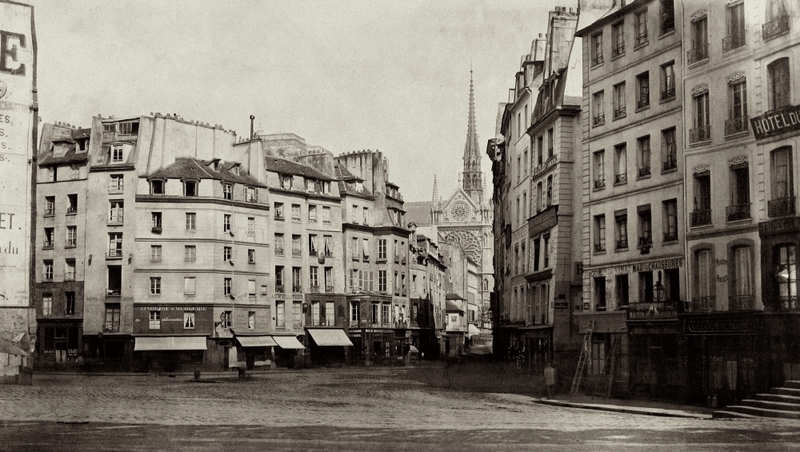 Charles Marville (1813–1879) was commissioned by the city of Paris to document both the picturesque, medieval streets of old Paris and the broad boulevards and grand public structures that Baron Georges-Eugène Haussmann built in their place for Emperor Napoleon III. Marville achieved moderate success as an illustrator of books and magazines early in his career. 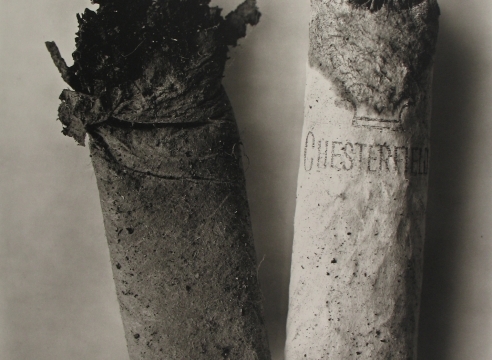 It was not until 1850 that he shifted course and took up photography—a medium that had been introduced just 11 years earlier. 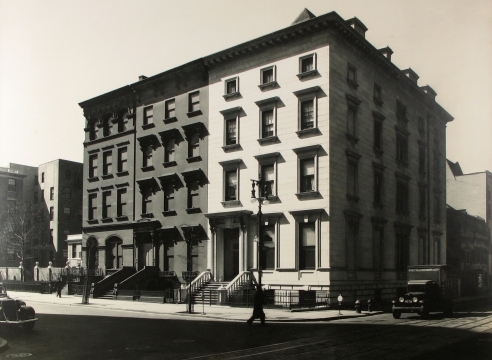 His poetic urban views, detailed architectural studies, and picturesque landscapes quickly garnered praise. Although he made photographs throughout France, Germany, and Italy, it was his native city— especially its monuments, churches, bridges, and gardens—that provided the artist with his greatest and most enduring source of inspiration. 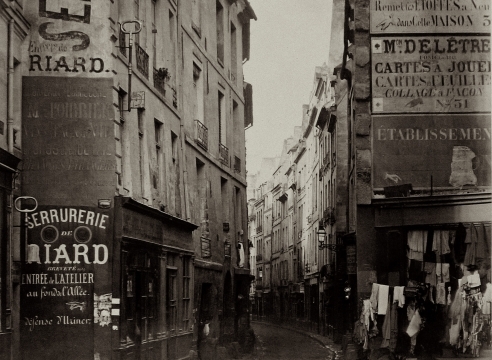 Haussmann not only redrew the map of Paris, he transformed the urban experience by commissioning and installing tens of thousands of pieces of street furniture, kiosks, Morris columns for posting advertisements, pissoirs, garden gates, and, above all, some twenty thousand gas lamps. By the time he stepped down as prefect in 1870, Paris was no longer a place where residents dared to go out at night only if accompanied by armed men carrying lanterns. 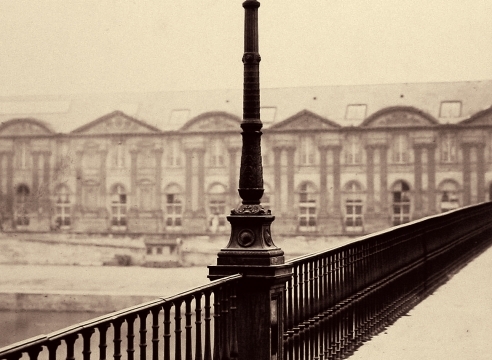 Taken as a whole, Marville’s photographs of Paris stand as one of the earliest and most powerful explorations of urban transformation on a grand scale.